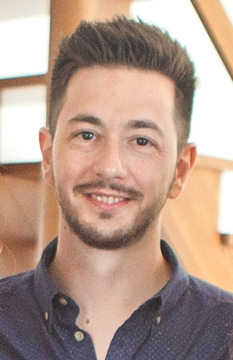 Vasilis (Billy) Niaros is a Research Fellow at the Urban Transformation and Global Change Laboratory (TURBA) of Universitat Oberta de Catalunya. His research interests include makerspaces, urban commons, political ecology, circular economy, sustainability transitions, social policy and technology. Billy is also a Core Member of the P2P Lab and a Member of the P2P Foundation. Further, he is a Founding Member of the Fab City Foundation. Billy holds a PhD in Technology Governance from Tallinn University of Technology (2016) as well as a five-year-BSc and a MSc in Urbanism and Regional Development from University of Thessaly. His research work is related to commons transitions at the city level with an emphasis on makerspaces and the use of local manufacturing technologies. This page was last modified on 5 March 2019, at 15:26.